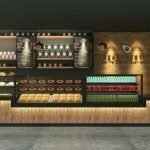 How to operate to make your coffee shop stand out? 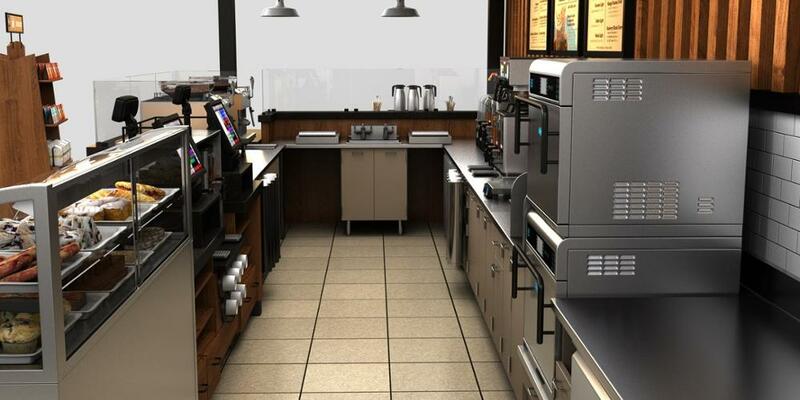 Coffee has become a must-have drink in urban life, and many consumers have chosen to open a coffee shop because of the huge business opportunities here, but how to stand out among the many coffee shops or coffee kiosk is a question that coffee shop entrepreneurs must think about. 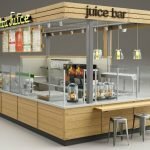 The coffee shop bar kiosk must give people a feeling of comfort and comfort, and should not be similar. Operators should decorate around their own positioning. The key to going out to drink is to feel the atmosphere and feel. The coffee kiosk should be quiet and the surrounding greenery should be better. In addition, the cafe has to rely on the surrounding environment to have a collateral effect. Large-scale real estate or office buildings nearby. The selected shops should be more practical. Whether you rent a shop or just a kiosk in the shopping mall. It is recommended to find a professional who knows how to decorate when you have a business idea. In addition, the general shop is signed for three or five years. So the rent must be arbitrarily calculated, but also depends on long-term development estimates. 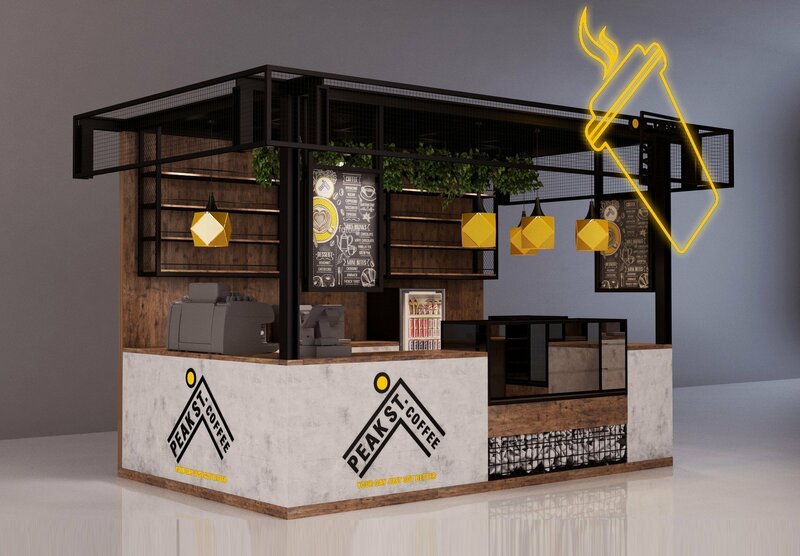 Please see this coffee bar kiosk design, which is a retro style and well-looking. The material we use it is plywood with laminate. I like this design very much. Do you like it? If you like this coffee kiosk design, please welcome to ask us about more. For the design, we charge a 300 USD design deposit. But don’t worry, it will return to you when you order the coffee bar kiosk. 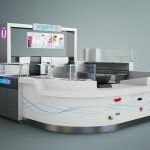 So we will offer you the free design of coffee kiosk. If you have the equipment machine list, please send to us. For example, fridge, ice cream machine, coffee machine and so on. 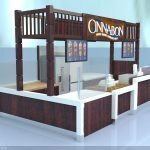 We can customize the coffee food kiosk as your floor plan. And we will draw the equipment machines on the 3D design drawing. So that you can see what it will look like in the drawing. Thanks for your time to read. 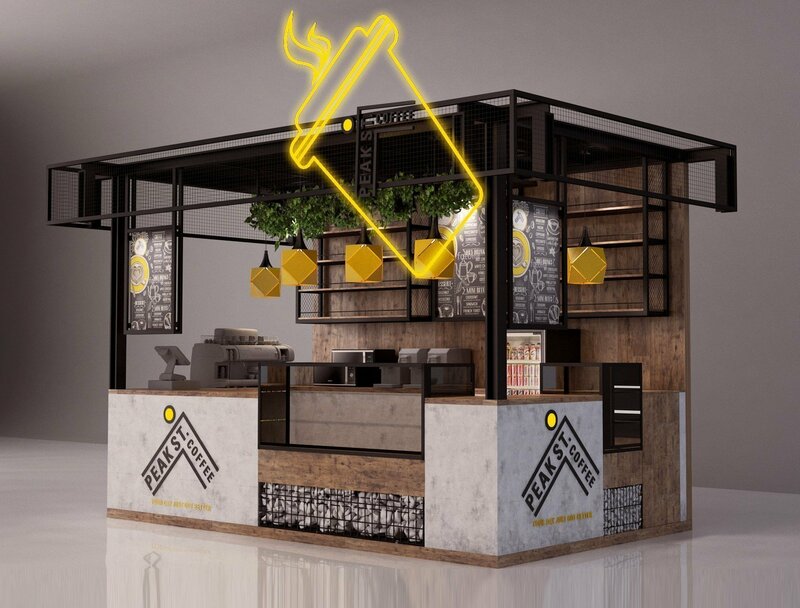 If you have any questions about the coffee kiosk design, please feel free to contact us on Email: sales08@uniquekiosk.com.